Matt Bruenig of Salon.com has written a trenchant and sobering assessment of Michelle Rhee’s relatively brief tenure as the national “face of educational reform” (see here). His main point can’t be emphasized often enough, especially concerning the unspoken complicity of extraordinarily wealthy philanthropists in financially promoting educational reform while effectively diverting our attention from their own active or tacit contribution to one of the root causes of disparate student achievement: child poverty. 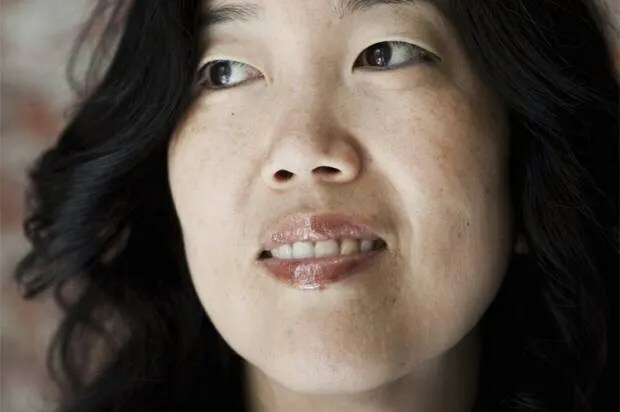 In the last week or so, Michelle Rhee stepped down from StudentsFirst, an education reform organization that she founded four years ago. During her tenure at StudentsFirst, and before then, Rhee meticulously crafted her image as a firebrand who intended to shake up education in the country. Although most of the coverage of Rhee and her departure has focused on her education theatrics, her remarks on the issue of child poverty have been far more troubling. In debates about education reform, one very common pattern of arguments has emerged. Education reformers like Rhee jump into the forum and confidently proclaim that poor students are failing to acquire good educations because of bad schools and bad teachers. Then, those who actually know things about child poverty respond that poverty, by itself, is a massive impediment to educational attainment because of its damaging effects on human functioning. On its face, this response should pose no particular problem for education reformers. If they want, they can synthesize these two points by saying that both poverty and bad schools drag down educational attainment, and that we should therefore target both. Under such a synthesis, the reformers would come out in favor of very simple and empirically proven ways (they love data!) to dramatically reduce child poverty, and also make the case for their specific education reforms. But, with few exceptions, they don’t do that. Instead, would-be reformers like Michelle Rhee totally abandon advocating for poverty reduction in favor of flavorless, politically neutral policies that don’t offend big donors. Generally, the refusal to recognize the role poverty plays in diminishing educational attainment forms three themes. In the first, reformers claim that people who chalk up low educational attainment to poverty are just excuse-making. This is, of course, manifestly absurd: Someone who says educational outcomes are harmed by poverty is not making an excuse out of poverty; they are identifying it as the (or a) cause. To argue such explanations are really excuses is as absurd as saying that Michelle Rhee is using “bad schools” as an excuse for low educational attainment. In other words, the “excuse” gambit is both false and nonsensical. The second theme is a kind of slick resignation that morphs back into support for old policies that are unrelated to poverty reduction itself. The reformers accept finally that, yes, poverty is an independent problem. They accept that, all else equal, child poverty will absolutely drag down educational attainment. Yet the rhetoric associated with this kind of acknowledgment of poverty doesn’t stick, and reformers are always quick to follow up the concession with the same old solutions they’ve always hawked, which comprises the final theme. This third theme usually features reformers like Rhee simultaneously admitting what is obvious — child poverty is an independent drag on educational attainment — without having to endorse doing anything about it. Instead, they insist that reforming education is the only way to do anything about poverty to begin with, so the acknowledgment that poverty is an independent harm in terms of education never inspires any direct action to repair it. Instead, only indirect action through education reform is ever advocated. This is convenient for their cause – and their fundraising campaigns — but it’s totally dishonest and harmful to poor kids. At the very least, education is not the only way to solve child poverty. (In fact, it’s not even clear that it is a way to solve child poverty.) And to determine that, we don’t have to go with gut feelings. What we know of all the empirical data recording child poverty rates and their changes is that the best, easiest and most efficient way to cut child poverty is through transfer programs. We could cut child poverty in half tomorrow – that’s a 50 percent reduction in poor children — if we wanted to, for little more than 1 percent of the GDP. All it would take is a child allowance, similar to many programs already extant in a slew of countries. Better yet for all the ed-reforming data lovers, we can actually track the rate at which transfers reduce child poverty – and they do so very, very well. Yet, because they are led by people who are either ideologically, or out of convenience due to donors’ preferences, against policies that would dramatically cut child poverty, they are limited in what they can actually accomplish. Despite their rhetoric, (poor) students are never actually placed first, but always second behind the distributive political preferences of the rich. Rhee and those who follow in her wake will drill on trying to squeeze out some marginal gains here and there through school reform, all while ignoring and minimizing powerful, tested solutions so as to make sure people don’t aim at child poverty itself. When you absolutely dominate the national discourse on how best to help poor children, as Rhee and her cohorts have for so long, such a posture is extremely shameful and damaging.